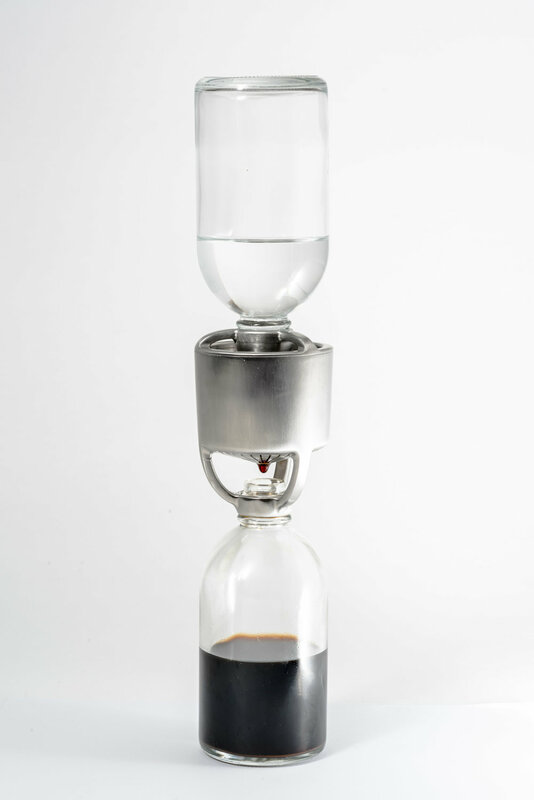 ATMOS is the simplest way to make real cold drip coffee in your own kitchen. No matter how you like your coffee, you can make it with ATMOS. Using ATMOS to make your hot or cold coffee will save you precious time in the morning so every day can start well. ATMOS brings out the subtle flavours that hot extraction and immersion brews tend to mask. Our cold drip method produces a rich extract perfect for use in your favourite coffee. ATMOS makes your mornings easier. Every ATMOS comes with 3 borosilicate glass bottles so you can drink some, store some and make some more whenever it suits you. Your coffee has never been so smooth, sleek and healthy. Our elegant design uses an atmospheric air lock to ensure consistent water pressure for the entire brewing cycle without adjustment. Strength, brew time and flow rate, is adjusted by the density of the coffee. This is adjusted by how much coffee you put in and how fine the coffee is ground. The filter uses perforated ridges to draw coffee towards the center forming each drip for collection. We simplified cold drip towers to fit your breakfast table. Fill the basket with coffee. Press and lock the tamp into place. Screw in the bottles and flip. ATMOS will soon be available to purchase online. Signup to be the notified when we launch.